Tour with the classics of our region, for you who come to Lençóis for the first time, but have little time. Reception at the Lençóis airport (or the Lençóis Bus Station) and transfer to your hotel. Pick up at 8:30 a.m. 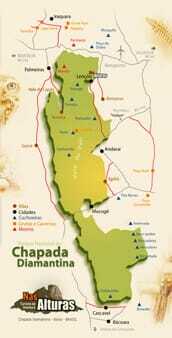 This tour is mostly by car, with short hikes to three places on the northern edge of the National Park. 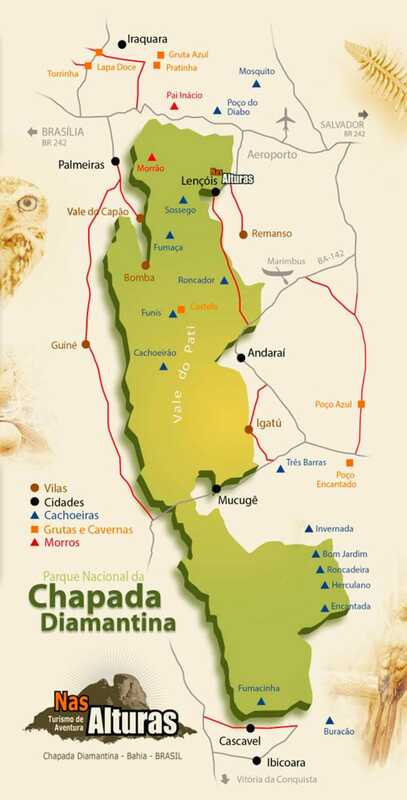 In the morning, you’ll head to Iraquara, the regional Cave Capital, to walk through the enormous limestone Lapa Doce cave with its huge rock formations, stalactites and columns. After the cave, you’ll go on to the Pratinha Farm to enjoy a delicious lunch with typical regional food and then visit the impressive Blue Cave. 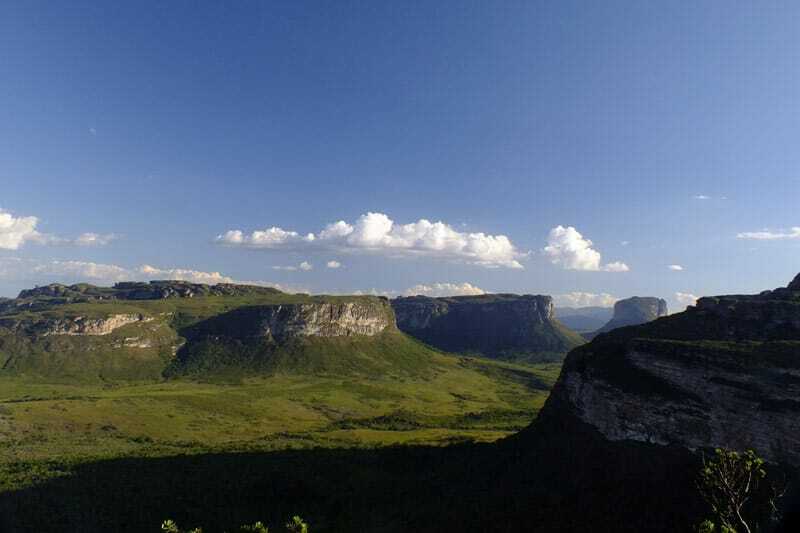 In the afternoon you will hike to the top of the Morro do Pai Inácio Mountain (20 minutes), perhaps the most famous postcard-view of the Chapada Diamantina. 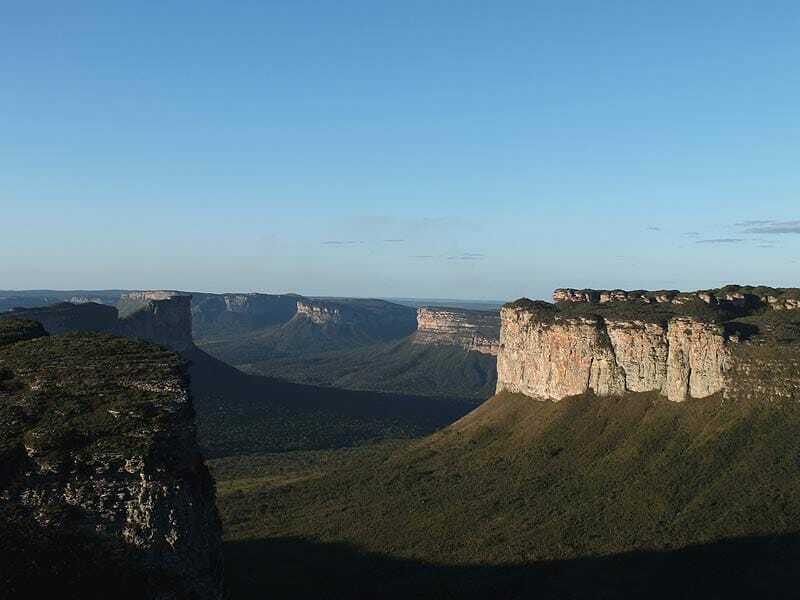 At the top of this sandstone table-mountain you’ll have an impressive 360° view of the peaks and valleys of the Chapada Diamantina, and the National Park itself, and be able to watch the sunset before returning to Lençóis. 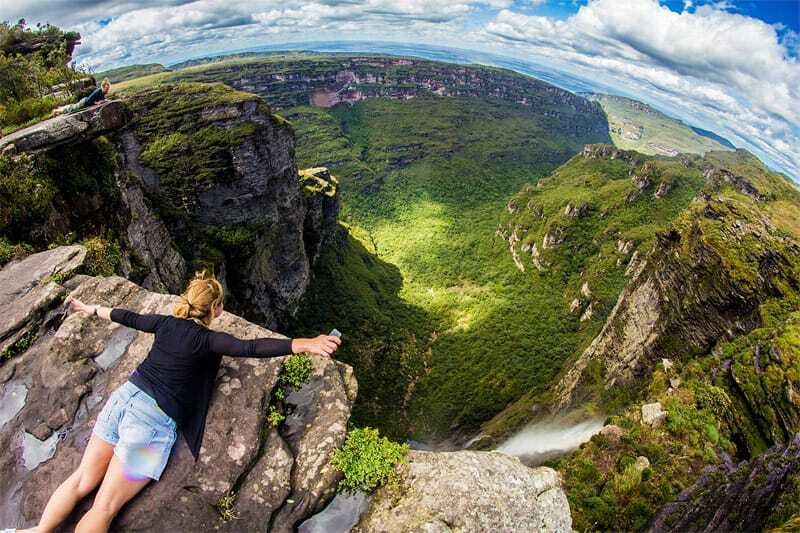 A day hike to visit one of the highest waterfalls in Brazil. 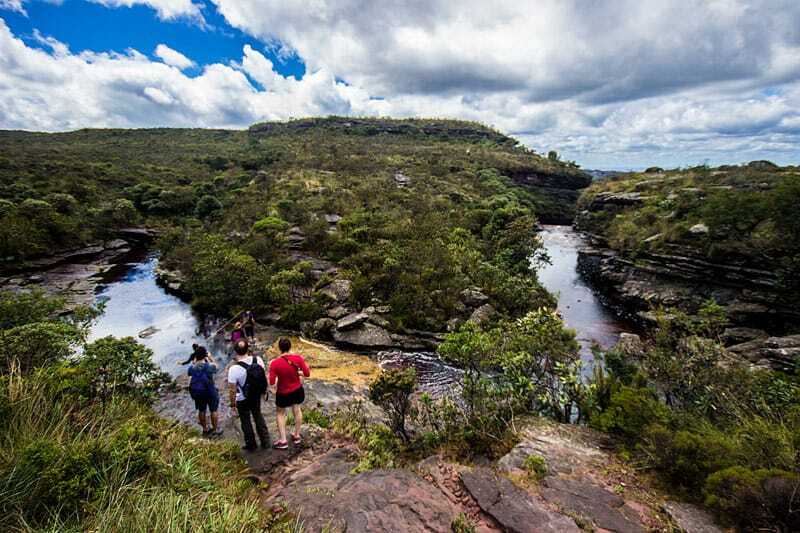 Pick up at 8:30 a.m. and transfer by car to Capão Valley, where the trail starts. It’s a 2 Km uphill hike, followed by 4 Km more on flat lands, giving beautiful views of Capão Valley and the surrounding mountains. 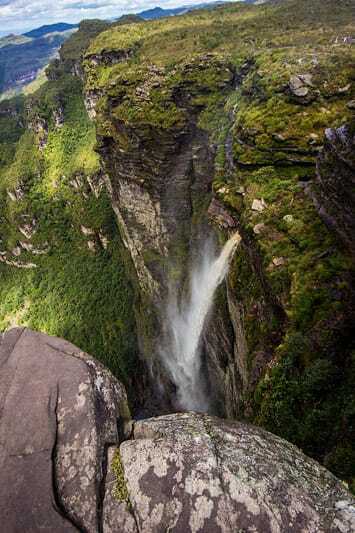 Arriving at the waterfall, you’ll have a view from a 400 m high lookout point and a lunch break. Same route back to the car. Swimming at the Riachinho River and waterfall after the hike, and then back to Lençóis. 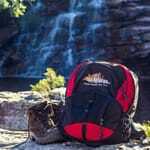 Tour by car, leaving from your hotel at 9:00 a.m. The village of Igatu is known as the City of Stones because of its peculiar architecture and the exclusive use of stones as building materials. 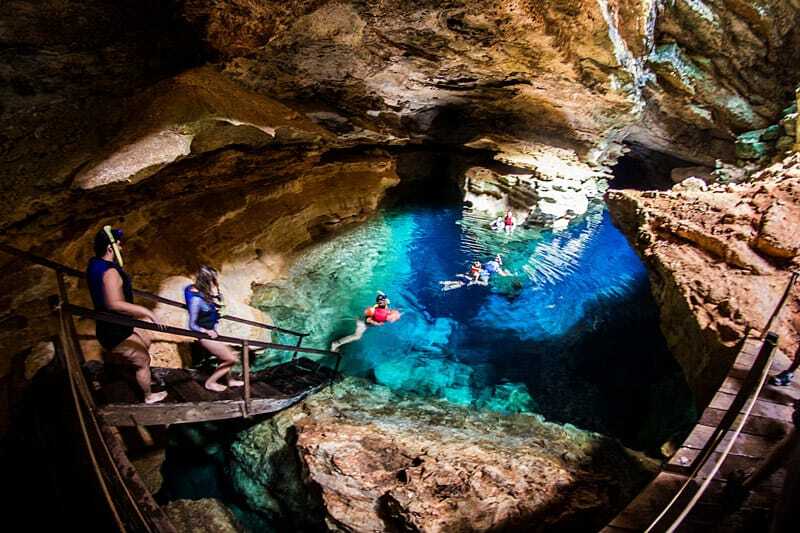 You will visit the mining period ruins and the art gallery in the morning, and then go by car to the Poço Azul – an amazing underground pool of crystal blue water. You can snorkel in the pool and be delighted as a shaft of sunlight hits the water. Lunch will be served with regional dishes, and then return to Lençóis. Did you like this tour? Looking for an unique experience? Looking for a personalized and unforgettable experience?